1. Tell us about the start of the season, are you satisfied with the way your team has played? We’ve played about as good as we deserve at the minute. We didn’t make the most of a rather gratuitous fixture list and have picked up losses and dropped points against teams that we should — at this point as an established Premier League club again — be beating. That’s obviously the most frustrating part considering we’ve replaced a manager and done nothing to improve the squad. 2. You have a new manager this season in Mauricio Pellegrino, how would you describe the way he wants the team to play and how is he compared to your previous managers? Mauricio Pellegrino. Where to begin. I’m not exactly sure how he wants the team to play and I don’t think the players are exactly sure either. At the moment he is expecting certain players, like Oriol Romeu who is defensive minded, to perform in a manner that is completely against their strengths. Not only have we continued to struggle to find the net, but we’ve started conceding uncharacteristic goals. It is a difficult pill to swallow seeing Claude Puel go to Leicester and have early success with a squad clearly more equipped to produce goals. 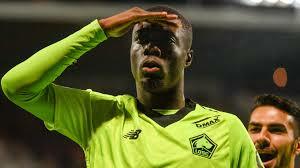 Had he been given backing at the striker position, he might very well be at Southampton. But Pellegrino is quickly showing he’s not the man position with his inability to read games and what needs changing and when. He’s normally five minutes two late, and that’s been the difference between a possible three points, the chance to salvage a point and/or none at all. 3. 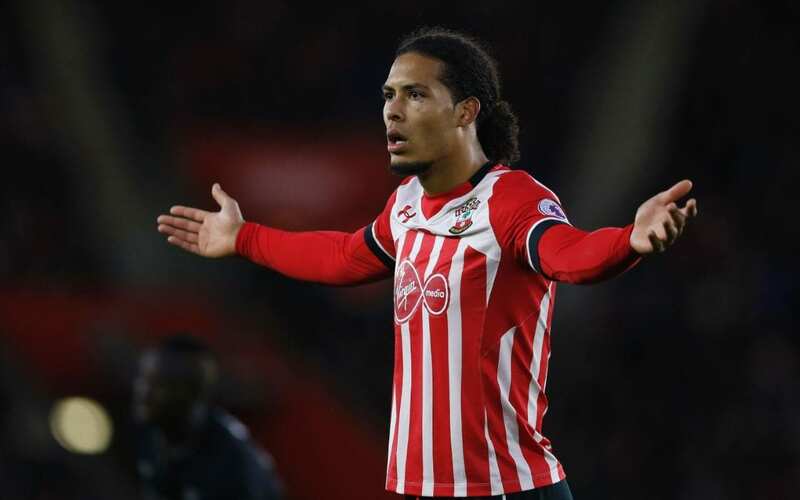 What are your thoughts on the Virgil Van Dijk to Liverpool-story? Are you happy that he is still at your club or would you rather have taken the money? How good is he? Because of how anemic our attack is, we should’ve cashed in on Virgil van Dijk and reinvested in a prototypical Southampton striker — the likes of Rickie Lambert and Graziano Pelle — to at least give Pellegrino a chance. It was nice to have stuck it to Liverpool and not made the sale, but we should’ve offered him elsewhere. He’s giving decent performances though it is clear in the team’s results why he wanted to leave so bad. Sure, a plateaued year was inevitable at some point. Repeating the same mistakes that happened last year is unforgivable by the board. They knew our deficiencies and could’ve done something about it. Instead they battled Liverpool for pride and won, but in actuality, lost because we’re still nowhere near as good as we were under Ronald Koeman or Mauricio Pochettino. Van Dijk is a very good player. Whether he’s bothered to show it whilst still at Southampton is up to him. Regardless of when he goes, which could easily be in January, he’ll return to the form he had that garnered the £70m valuation because he’ll have the right motivation. He’s unfortunately not going to find that at Saints anymore. 4. Who is your player of the year so far and why? Mario Lemina is looking like the buy of the year — and also the next player to be on his way out of St Mary’s if he keeps it up! Not only is he a physically strong specimen, he’s got the brains to make the smart pass to move the attack forward. He’s been the perfect player to partner Romeu. However, I don’t think I can handle having Fans’ Player of the Year be a defensive midfielder in consecutive years. If that happens then we’ve really got a problem scoring goals! 5. In what position do you think you need strenghtening in january? Striker. If we want to avoid a relegation battle we’re going to have score goals on a consistent basis and more than just one in a game because … Keeper. Hard to say what has happened to Fraser Forster. Seems not too long ago he was legitimately pushing Joe Hart as England’s number one. Now we’re closing our eyes every time the ball heads towards his goal because it could easily end up in the back of the net. It’s a real shame as he spoke of aspirations of being number one for England, but that dream has turned into simply being selected for the squad. He needs someone to come in and press him for the starting role at Southampton. 6. How do you think you will lineup agains Liverpool and what kind of game do you think we will see? Southampton will inevitably start with just one striker when we really need something to kick-start our season, which is a bad thing to say when you’re in November. It’ll be four at the back (Bertrand, van Dijk, Yoshida, Cedric), which isn’t a bad defence. Prone to a mistake, but that’s football at what should be a strong mid-table club. We’ll have two in the middle — likely Steven Davis playing out of his prefered position, but what do I know I’m not Pellegrino calling the shots. Then Tadic, Boufal and Redmond. Gabbiadini up front by himself making runs, being offside four to five times and that’s the game. Expect it to be ugly and frustrating, but fully expect Liverpool to break us down with the likes of Sadio Mane back in the squad. It’ll be comfortable for you all I think. Pray for us.